"As I was waiting to be ushered onto the House Floor before the State of the Union Address Tuesday night, I had a chance to briefly speak with President Obama. After exchanging pleasantries about our families and holidays, I expressed my hope that we could work together to move this country forward. "While there were parts of the President’s speech where there is common ground, I was disappointed by its political nature. I have difficulty reconciling the fact that the President called for an all-of-the-above energy approach after he just rejected the Keystone XL Pipeline, which would have created 20,000 jobs and increased our energy security. In fact, it was an issue I addressed when responding to some of the comments and questions posed by Twitter followers. I also responded to tweets about the Senate’s failure to pass a budget, the importance of empowering small businesses to grow jobs and the need for tax reform. I’m a big believer in new media as an effective way to connect directly with you, and I hope that you will follow me on Twitter @GOPWhip and Facebook, if you’re not already. "On Wednesday morning I participated in a panel with my whip counterpart, House Democratic Whip Steny Hoyer, and our colleagues to further discuss the President’s State of the Union Address. It’s always good to sit down with members from both sides of the aisle and get different perspectives. The bottom line is we need to get this country working again, and to do that we need to open the door for innovation and investment. Uncertainty about taxes, regulations and what the next policy coming from the Obama Administration might be is driving businesses to hold on to capital and delay investment. We need to unshackle our economy and allow it to grow again. "That’s exactly what I witnessed on Friday in Mojave. I met with commercial space flight entrepreneurs at the Mojave Air & Space Port and visited the construction site for Stratolaunch Systems. 25 percent of all the jobs at the Mojave Air & Space Port are in commercial space flight. That’s a massive jump over the past decade, and one reason for that is smart legislation passed in 2004 that gave this industry room to grow while still protecting the safety of crew members and the public. However, the legislation is set to expire this year. The commercial space flight industry has great things ahead of it and has the potential to create even more jobs right in our backyard, so I am fighting to extend the provisions in this legislation that have proven effective over the past eight years. "I want to hear your thoughts on the President’s speech. What did you agree with, what did you wish you’d heard more of? Also, if you have any other comments or suggestions for me, please don’t hesitate to send me an email, call my office at 661-327-3611, or reach me on Facebook and Twitter. * ... BUCK: The Country Music Hall of Fame in Nashville is opening a new exhibit dedicated to the late Buck Owens, Merle Haggard and others who helped create the 'Bakersfield Sound.' The exhibit opens March 24 and will run for two years. Said CMT: "Narrated by Dwight Yoakam, the exhibit will explore the roots, heyday and impact of the Bakersfield Sound, the loud, stripped-down and radio-ready music most closely identified with the careers of Country Music Hall of Fame members Buck Owens and Merle Haggard." * ... WORST CITIES: In a reflection of just how bad the housing collapse hit California's Central Valley, a new list of the 10 worst cities for finding a job includes six from our valley. USNews compiled the list and noted that "the list of cities where housing prices remain depressed has striking similarities to a list of the cities with the worst employment problems." The top five were Merced, Fresno, Modesto, Stockton and Visalia-Porterville. Rounding out the list were Atlantic City, N.J., Bakersfield, Hickory-Lenoir, N.C., Riverside and Brownsville, Texas. * ... TOO RISKY? Maybe it's just a sign of the economic times, but since when did U.S. Savings Bonds become "too risky" to cash? That's what an employee of the Bank of America told Anthony Finochhiaro the other day when he went to the Oswell branch by Country Club Liquors to cash six bonds. First he was told they would only cash 10 or fewer for non-account holders but later - even though he only had six - "the woman told me they were too risky and they wouldn't cash them. What is this, Greece?" * ... SPOTTED: A couple runs out of gas and is struggling to push their 1980s-era Chevrolet Blazer into the gas station at Mount Vernon and Columbus while a dozen people non chalantly look on. A U.S. Army soldier in fatigues then pulls up, spots the couple and hops out to help push the Blazer into the gas station. * ... CONVENANT: Covenant Community Services, the group that does so much to help put foster youth back on their feet, needs just $33,000 more to complete the remodel of its new headquarters and coffee bar at 1700 North Chester Avenue. The non-profit has managed to raise $50,000 so far, transforming the former bank building into an impressive center to help foster youth. Drop by sometime to buy some of Covenant's outstanding coffee and support this worthwhile project. 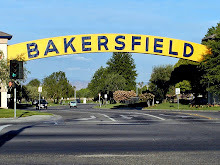 * ... OBESITY: Obesity and the factors that lead to it - poor diets, lack of exercise etc - are some of the biggest challenges we face not only here in Bakersfield but also in the country as well. So I suppose it's good news that the latest research shows obesity rates have stalled, but they remain extremely high. Overall, almost 36 percent of the adult population and 17 percent of children are obese. In Kern County, the rates are much higher, with as many as half of all adults overweight. With statistics like this, it's little wonder the number of people coming down with diabetes remains stubbornly high. * ... 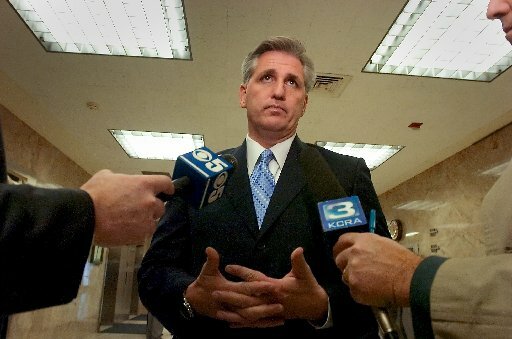 POLITICS: It looks like longtime broadcaster Terry Phillips is getting closer to deciding to run for Congress in the 23rd District against House Majority Whip Kevin McCarthy. A press release said friends are gathering signatures to nominate him and he has created an exploratory committee. Phillips worked for Valley Public Radio and was a former news correspondent for CBS News. On a side note, Phillips spoke to the downtown Rotary Club in 2008 and created a stir when he declined to participate in the flag salute during the Pledge of Allegiance. His explanation - that as an American he can choose to opt out - fell flat with the Rotary crowd. "Can you imagine doing that before a group of conservative Rotarians?" one Rotary member told me. "It was a nightmare. We've never had so many complaints about a speaker." VPR later apologized to the club and Phillips was fired in 2011. We'll see how this plays in the election if he decides to run. Phillips is not a member of any political party and is registered as "decline to state." * ... BEAR PASCOE: Dina Ligari dropped me a note to remind me that Kern County was represented when the New York Giants beat the San Francisco 49ers. 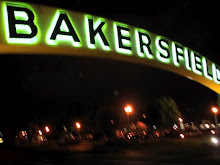 "The Giant win ... brings up the issue that I have not read in this paper of the long generational connection to Bakersfield and Kern County of New York Giants No. 86, McKenna 'Bear' Pascoe. .. Bear’s parents Sean and Julie Pascoe were married in Bakersfield and lived much of their newly wed life here before eventually raising their kids on the family lease outside Woody. The Pascoe contingency in this town is very strong. In fact we were surprised there were no Richter scale reports from Sunday right after Bear’s first pro touchdown. The family was whooping and hollering from Bakersfield to Kazakhstan. Needless to say we are all so very proud and love Bear for all his accomplishments…..but will be glad when the Super Bowl is in the bag, cause the calves need to be branded. Life goes on. Go Big Blue!" Pascoe went to high school in Porterville and played for Fresno State before being drafted by the 49ers and later traded to the Giants. * ... SPOTTED: A reader spotted this bit of bad form in front of Stockdale High School around 2 p.m. recently. "At least eight cars parked in the 'no parking' zone in front of Stockdale High School on Buena Vista Road. One lady double parked on Buena Vista forcing the traffic in the right hand lane to come to a complete stop." * ... WALMART: Reader Frances Quiroz shared this experience while shopping at the Walmart at East Hills. "I was shocked when a Walmart employee who was working on 'the floor' was unable to help me because she did not speak English. Are you kidding me? I think anyone who gets paid with American money should at least know the language." * ... PETS AND SPEEDING: Kristen Bellue lives in one of downtown's charming homes on 21st Street and is pleading with commuters to recognize the 35 mph speed limit. Last week she came home to find her cat dead in the street. As she tried to retrieve the cat, drivers refused to slow and "some disgusting person hit my cat again. He flew through the air and landed in front of my neighbor's house. The sound was horrendous and as you can imagine I was hysterical!" Downtown is one of those areas where there are many indoor-outdoor cats, and Kristen is pleading with drivers to observe the speed limit. "I have even witnessed people passing down the center lane of 21st Street to pass the drivers that are going the speed limit." * ... ON THE MOVE: Bryan Burrow has joined the Kern Community Foundation as director of non-profit outreach. Burrow earned his MBA from CSUB, where he was a 2010 Alumnus of the Year, worked for the Bank of America and is a member of the Rotary Club of Bakersfield. He will report to Foundation President and CEO Jeff Pickering. 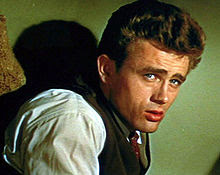 * ... JAMES DEAN: Two hours before the great young actor James Dean died in a 1955 car crash he was ticketed for speeding coming down the Grapevine. That little bit of trivia comes from Bakersfield resident Jack Skaggs, a retired California Highway Patrol officer who has a copy of the original ticket. "It was the last time James Dean ever gave his autograph, and it was to a CHP officer," he told me. The ticketing officer was O.D. Hunter, who stopped Dean for going 65 mph in a 55 mph zone. The time was 3:30 p.m. on Friday, September 30. Two hours later his Porsche 550 Spyder flew off the road near Cholame and he was dead a half an hour later. * ... CRABFEST: I stopped by "Crabfest" Friday evening, the annual dinner that raises money for the St. Francis Parish School, and it proved to be another hit. Almost 500 people showed up at the fairgrounds to dine on crab, potatoes, salad and pork ribs and participate in a silent and oral auction. Monsignor Craig Harrison was working the room, encouraging the crowd to open their checkbooks for a good cause. This is one of the most difficult tickets to score on the long list of our community's fund raisers, and the ribs alone are worth the price of admission. Among some of the people I spotted were Kay and Harold Meek, Jim and Beverly Camp, Tracy and Brian Kiser, Jay Rosenlieb, Annalisa and Trevor Townsend, Dan and Miki Hay, Karen Goh and so many others. 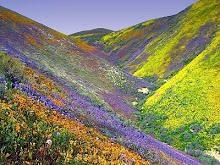 * ... CITY LIFE: Behind every great movement are the true believers who make things happen, often against enormous odds. 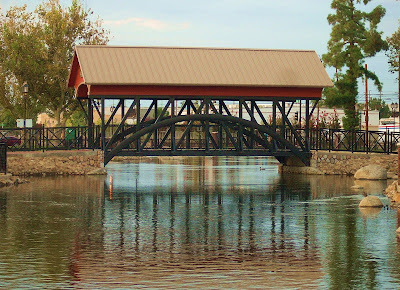 The resurgence of downtown Bakersfield is no different, and on Monday on Californian Radio KERN 1180 I will be talking with two of the change agents who bear a lot of the credit for the downtown renaissance. The first is Donna Kunz, who heads the city's ambitious economic development effort that until recently used redevelopment money to spur renovation and growth. With Donna will be Don Martin, who with little money but a lot of marketing savvy has helped transform parts of downtown from a gritty danger zone to an arts district. Join us at 9 a.m. for a discussion on what the future holds for downtown. * ... SPOTTED: Man driving a green Dodge Stratus with no plates speeds through a red light on F Street while his small white dog sits on his lap. * ... CYCLOCROSS: Hats off to Sam Ames and his amazing group of volunteers who put on a successful cyclocross state championship this weekend out at Hart Park. While cyclocross is certainly a niche sport with a small following, the races provided a spectacular venue for spectators to take in some amazing racing. Peter Wonderly provided the "voice" and Hart Park afforded a world class course that challenged even the most fit athletes. * ... OVERHEARD: A woman telling her friend she hopes that DressBarn's remodel includes a ladies' room. The woman said she made a sizable purchase there recently, then asked to use the ladies' room. She was told to go next door to Target. Susan Schwartz, DressBarn's manager, said customers can use a restroom located in the stockroom but it is not clearly marked and is not sure this will change in the remodel. 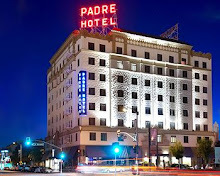 * ... BAKERFIELDISM: Vincent Bertolucci wrote that you might be a Bakersfield "old-timer if you remember the La Granada Ball Room at the corner of Eye and 16th Streets with music by Bob Sisson's Band during the late 1930s or early 1940s."